These books by Ellen Wu and Kristin Hass both assess a contested facet of Japanese American studies from a comparative perspective; and both are judiciously conceptualized, skillfully organized, soundly argued, lucidly written and bountifully documented. Fortuitously, their chronological spans (Wu, 1940s-1960s; Hass, 1982-2004) are sufficiently contiguous to warrant reviewing them jointly. 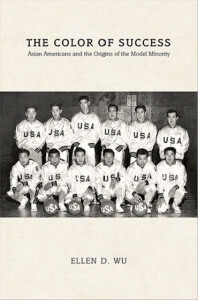 Moreover, by jettisoning their non-Japanese American sections (in Wu, the Chinese American model minority experience; in Hass, three of the four war memorials built in the past three decades on the National Mall in Washington), this review can concentrate on connecting Wu’s analysis of the Japanese American model minority image with Hass’s evaluation of the National Japanese American Memorial to Patriotism during World War II. Regarding this stereotype’s Nikkei variant, Wu spotlights the activity of the Japanese American Citizens League leadership and its late moving spirit Mike Masaoka (1915-1991). She contends that during and following World War II they forged a governing political-cultural paradigm in which the Nisei soldier became Japanese America’s face and martial patriotism its default setting. 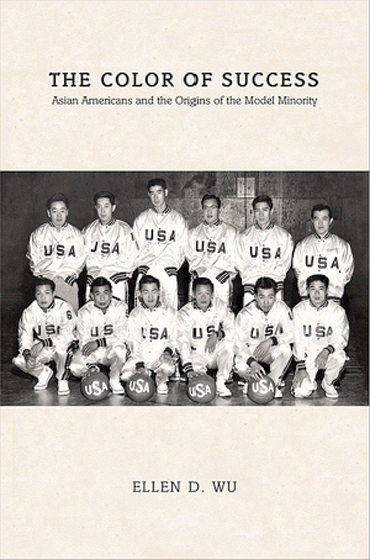 From its 1929 start, the JACL was an exclusive organization. Open only to Nisei, its leaders were primarily older, university-educated, middle-class businesspeople. Its leadership was political conservatism and deference to white Americans repelled intellectuals, liberals and progressives. Also, the JACL alienated Issei and Kibei-Nisei by its flag-waving Americanism, as exemplified in its August 1941 executive secretary appointment of Masaoka, a nationalistic Mormon Nisei from Utah. Prior to the United States’ entry into World War II, the JACL organized the Southern California Coordinating Committee for Defense. Chaired by Masaoka’s brother Joe Grant, it gathered information on subversive activities within the Nikkei community for naval intelligence. After Japan’s Pearl Harbor attack, the Los Angeles JACL chapter established the Anti-Axis Committee to expand the SCCCD’s work. Its roundup of Issei community leaders and their incarceration in alien internment camps rendered JACL largely anathema to the Nikkei majority. Nonetheless, even before President Franklin Roosevelt’s Feb. 19, 1942 signing of Executive Order 9066, the JACL had convinced the U.S. government to grant it the power to represent all Japanese Americans. 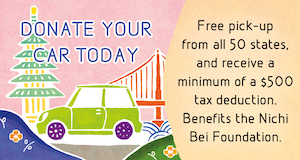 After more than 110,000 West Coast Nikkei were imprisoned in concentration camps, War Relocation Authority administrators rewarded the JACL for assisting in their community’s mass exclusion and imprisonment. But, observes Wu, “the popular perception that JACL leaders had acted as inu (dogs or stool pigeons) in their vigorous push to promote Nisei loyalty destroyed their credibility among other Nikkei.” Thus, suspected JACL camp “collaborators” were beaten and/or driven into exile, while the organization’s reputation and membership plummeted. In April of 1942, JACL spokesperson Masaoka presented authorities with recommendations for detaining Nikkei. Uppermost was having military service for Nisei, which the government had terminated, promptly reactivated. Meanwhile, camp JACLers pushed military service for Nisei to halt suspicion about their American loyalty, even though this exacerbated the League’s toxic unpopularity. In November of 1942 the JACL convened an emergency Salt Lake City meeting with delegates from all 10 WRA camps. They voted “to ask the War Department to reclassify Nisei ‘on the same basis as all other Americans.’” This decision precipitated a bloody riot at the Eastern California Manzanar camp in early December of 1942. Coupled with the preceding November 1942 strike at Arizona’s Poston camp (likewise triggered by a JACL leader’s beating) the Manzanar Riot persuaded authorities to devise a mechanism for segregating “loyal” Japanese Americans from “disloyal” ones, an action for which JACL and Mike Masaoka had long lobbied. The Nisei soldiers’ performance jump-started a villainous to valorous reversal in the standing of the JACL and Masaoka within the Nikkei community. As the 442nd’s public relations officer, Masaoka cranked out some 2,700 stories stressing how Nisei soldiers had volunteered because they were Americans who deeply believed in democracy, “even though (their) … families were in detention camps as the result of a wartime aberration.” This public relations campaign, opines historian Alice Yang Murray, “helped conceal from mainstream America the history of protest against the government and JACL.” On the home front, the same message was sounded to Nikkei in and out of camp by JACL’s Pacific Citizen house organ and reverberated in JACL-oriented camp newspapers and free-zone vernaculars. In January of 1944 the War Department announced the military draft’s reopening to Nisei. Although applauded by JACL and Masaoka and accorded a surprisingly favorable camp Nisei reception, this action provoked draft resistance from roughly 300 Nisei inmates. The JACL joined the WRA and the U.S. government in castigating draft resisters as draft “dodgers” motivated by cowardice and/or pro-Japanism. As for the 85 draft resisters at Wyoming’s Heart Mountain camp, the JACL-led Heart Mountain Sentinel denigrated their constitutional rationale as a rationalization for ducking a fundamental duty of U.S. citizenship. When resisters were convicted for draft evasion and they, along with their Fair Play Committee leaders, were railroaded into federal prisons, the Sentinel deemed this scenario as justice duly served. 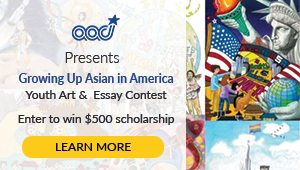 As the 1960s-1970s social movements unfolded, however, the JACL found its power to shape Japanese American identity and citizenship severely contested by activist Nikkei. They took exception to books like JACL leader Bill Hosokawa’s “Nisei: Quiet Americans” (1969). A Denver Post editor and a Pacific Citizen columnist, Hosokawa was virtually silent about Nikkei individuals and groups who fought for social justice and democratic rights. In contrast, Hosokawa’s critics honored them, cheering books by historians like Roger Daniels’ “Concentration Camps USA: Japanese Americans and World War II” (1971) and Michi Nishiura Weglyn’s “Years of Infamy: The Untold Story of America’s Concentration Camps” (1976). Daniels questioned “the (JACL-WRA) stereotype of the Japanese American victim of World War II who met his fate with stoic resignation and responded only with superpatriotism,” while Weglyn, writing as “an outraged victim,” copiously and empathetically covered all WRA camp resisters and dedicated her book to civil rights lawyer Wayne M. Collins who had spent years restoring U.S. citizenship to some 5,000 Tule Lake renunciants. identified with him, was that the JACL largely treated Omura’s review with contemptuous silence and sought, unsuccessfully, to suppress Lim’s report. 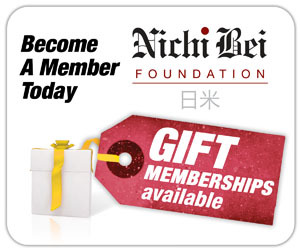 But these criticism and others raised by Nikkei created a chorus of voices demanding that JACL emulate the U.S. government’s precedent by apologizing to Japanese Americans for the wartime misdeeds its leaders perpetrated against their community. Most specifically, this demand took shape in the necessity for the JACL to express regret for their egregious maltreatment of the draft resisters who, as “resisters of conscience,” had chosen to exercise their American patriotism through clarifying and reclaiming their constitutional rights as U.S. citizens rather than robotically submitting to military service from behind barbed wire. 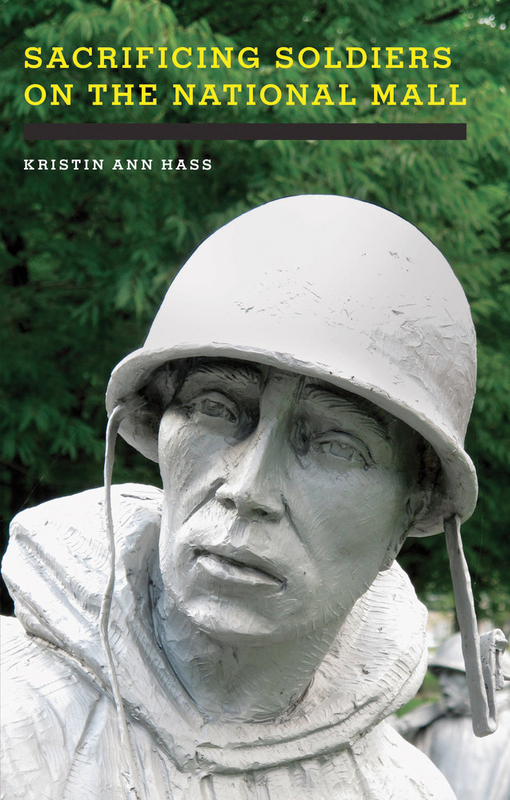 It is here that Kristin Hass’ book becomes relevant. Her concern is with the National Japanese American Memorial to Patriotism during World War II. Through the National Japanese American Memorial Foundation, this memorial’s development underwent discussions about its mission statement, site, design and inscriptions. Only the last item was debated, and then with but a single inscription. There were quotations from California Nisei Rep. Norman Mineta (Mike Masaoka’s brother-in-law), a child inmate at Heart Mountain, and Sansei Rep. Robert Matsui, detained as a child at Tule Lake; Hawai’i Nisei Senators Daniel Inouye and Spark Matsunaga, both 442nd Regimental Combat Team veterans; WWII President Harry Truman; as well as two poems, a tanka and a haiku, by unnamed authors. Of these items, only the tanka poem (penned by Bill Hosokawa) was deleted, owing to its meaning being deemed too elusive.